Royole is making waves here with its FlexPai phone that unfolds into a tablet. (Because apparently, mimicking Westworld is the hot trend of 2019.) But I couldn’t get any hands-on experience with the FlexPai at the company’s booth, and initial indications are that I shouldn’t bother. 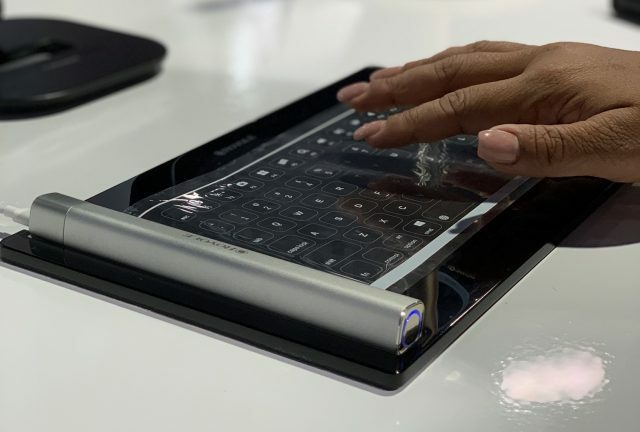 On the other hand, I loved a prototype Royole had for demonstration: a full-sized Bluetooth keyboard printed on a flat piece of plastic that rolled up into a cigar-sized cylinder. (The black plastic base in the photo is part of the booth display, not the keyboard.) 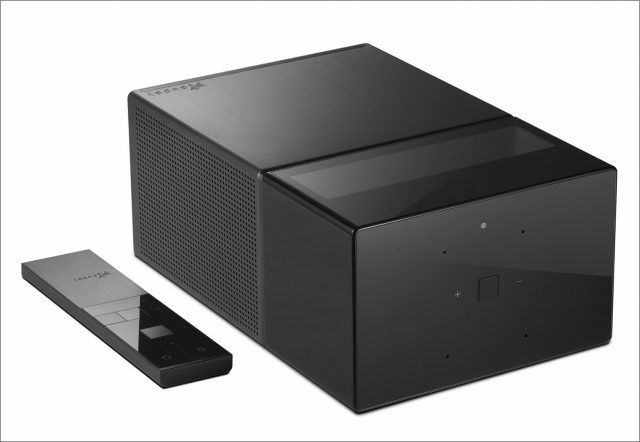 Unfortunately, this product has no name, no price, and no release date—even asking those questions caused a bit of confusion. This isn’t the first time we at TidBITS have cheered for Royole’s ideas but been somewhat let down by their products (see “The Dark Side of the Royole Moon,” 25 April 2018), but I’m hoping I can tell you this keyboard is shipping at a future show. Bluetooth trackers, which tell you where your stuff is, are such a perennial at CES that now they’re an entire product category. But Adero has an interesting spin on the idea: a combination of “tags” and “taglets” that create smart bags. Attach an Adero tag to any bag—it comes with a case that’s backed with adhesive—and a taglet to anything that you want to make sure is in the bag when you dash out. Press the tag, and if it lights green, you’re good to go. If it lights red, a phone app tells you what’s missing. Unfortunately, while the app can tell you where a smart bag is with the same tracker technology you’ll find in other gadgets, items with taglets don’t have the same feature. Tags come with a charger to re-up their batteries, which you’ll need to do every two months; taglets have permanent batteries that should be good for two years. Shipping now, but I’m a little perplexed by how Adero is sold: you can buy a Starter Kit for $119.99 with three tags and three taglets—that’s three bags with one item each, or one bag with three items and the other two tags left unused. Or there’s a Deluxe Kit for $199.99 with five tags and nine taglets. It seems to me that a better model would be to sell the tags in kits but then to allow individual taglets to be added. 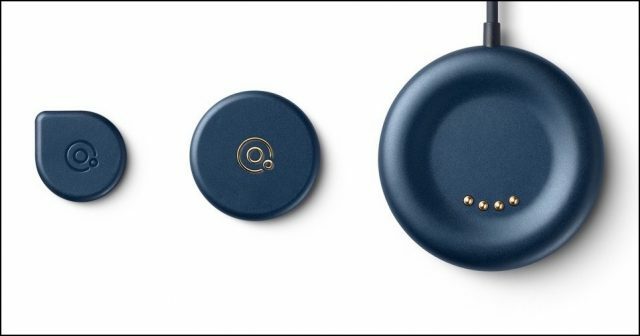 Adero is marketed to busy executives and parents, and I wouldn’t mind one for my Backpack of Peripheral Holding, but who in the market for something like this has so few items to track? Geolocation description is a surprisingly unsolved system. We’ve had a system of latitude and longitude since the 18th century, but no one can remember the decimal places necessary to describe sufficient precision. We have street addresses, which work well until you arrive in a city where mixing up east for west can put you halfway across town, or rural areas where a single address can describe an area of 26,000 hectares. What3words has a simple trick that solves this: it has divided up the world into 3-meter squares—57 trillion of them—and has assigned each of them a static three-word address (and yes, it works in multiple languages). So if I want to tell you to meet me at a particular local Starbucks, I can tell you which of the eight different stores you should go to, or I can say “meet me at ///couches.arrow.rings”. Or I can wait until I arrive and then send you the grid square corresponding to my actual table—it will be different than the one at the door. One key underlying premise of the system: for any address you speak aloud to a human or a device, What3Words addressing will be easier to understand and harder to confuse—get a word wrong and you’ll know immediately because that address will be in the Sahara Desert instead of 20 miles away. What3words is free to use, and addresses can be looked up in an iOS app or a companion Web site. 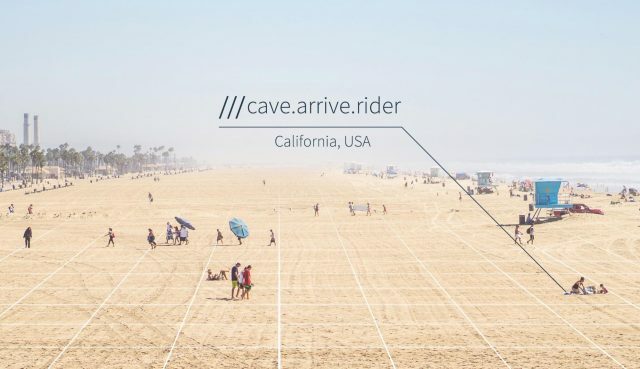 Obviously, this system is far easier to use when people already understand what it is, so What3words is attempting to license the database for inclusion with other systems—at the show, the company has announced partnerships with Mercedes-Benz, TomTom, AirBnB, Lonely Planet, and Domino’s Pizza, among others. I’m not expecting to still be alive when CES exhibitors start demoing Star Trek holodecks—although I’m happy to be surprised—but magical 3D displays are expected by pretty much everyone here to be a thing someday. It won’t be soon, though, since 3D TVs failed to catch on—they gave me and enough of the buying public a headache and never caught on. 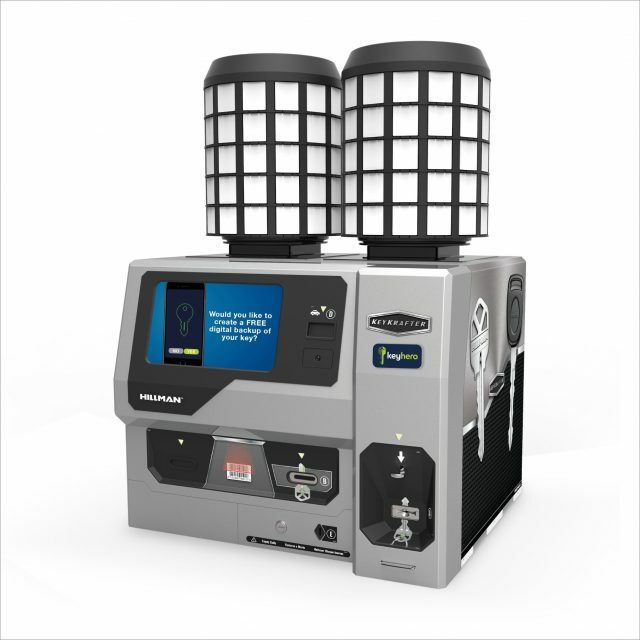 In the meantime, there’s HYPERVSN’s eye-catching Solo series of holographic displays. A fan of spinning blades creates the image but moves too fast for the eye to register, so the result is an image that appears to hang in mid-air, with some flickering—think Princess Leia’s holographic message in the original Star Wars. The 3D effect is added with standard 2D rendering, but because the display surface is invisible, it fools the eye. HYPERVSN is available for purchase, lease, or rental, and is clearly intended for the kind of companies who set up trade booths and don’t care much about price—neither the press materials or website deign to mention how much it costs.